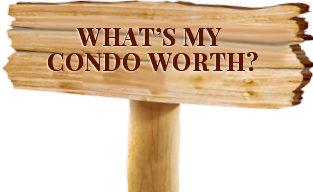 An option often overlooked by those desiring homeownership is purchasing a condominium or condo. The traditional detached single-family home is not the ideal situation for everyone. For those just starting out, affordability may be an issue. An empty nester may want to downsize and not have the hassles of yard work and other maintenance. Or it can simply be that the traditional family home doesn’t suit your lifestyle. When you own a Galveston condo, you own the title to the space within the walls of your living quarters. Ownership of common areas such as hallways, roofs, parking lots, green space and amenities are shared with the other owners in the complex. The more common type of condo is the apartment-style, in which you may have units on either side of you and above and/or below. However, there are other styles. There are units that are designed more like townhomes, with single or multiple levels and one or two common walls with neighbors. You may even find a Galveston condo in a building that was a multi-unit apartment converted to condo units. Galveston condos are attractive to many buyers because they offer them a chance to own their residence and build equity at what is usually a lower cost than a detached single-family home. Of course there are exceptions, such as the luxurious Galveston condominiums located on east and west beach. 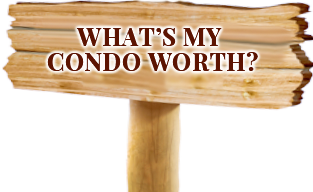 One factor to consider is that condominium owners generally must pay a condo association fee monthly. These fees defray the cost of maintenance, repairs and upgrades to the community’s common areas as well as the cost for the services of a property management company, insurance on the building, and common utilities. If you would rather spend your free time doing something fun rather than mowing the lawn, painting the outside of your home, or waiting for the pool maintenance company, then a Galveston condo may be for you. Other advantages of owning a Galveston condo are the amenities that may be part of your complex such as a pool, tennis courts, fitness center or clubhouse. These are some of the perks you might not be able to afford or even have room for, if you were to purchase a single-family home. Of course, as with all things, there are some disadvantages to owning a Galveston condominium, such as the lack of privacy that a detached single-family home affords. You are also confined to the rules and regulations of the community association, which can run the gamut from how to display a satellite dish to the type of animals you can keep, although many traditional neighborhoods have similar type restrictions. Is a condo the right living arrangement for you? Make an informed decision by weighing the pros and cons. Talk with me about the condominium building you have an interest in, and let’s discuss the available features and the rules that govern them. Preview the various Galveston condo buildings on this website to get an idea of what the properties offer and how they may fit with your planned lifestyle. Galveston condo living isn’t for everyone, but can be an attractive option for those who want to live in that type of community.